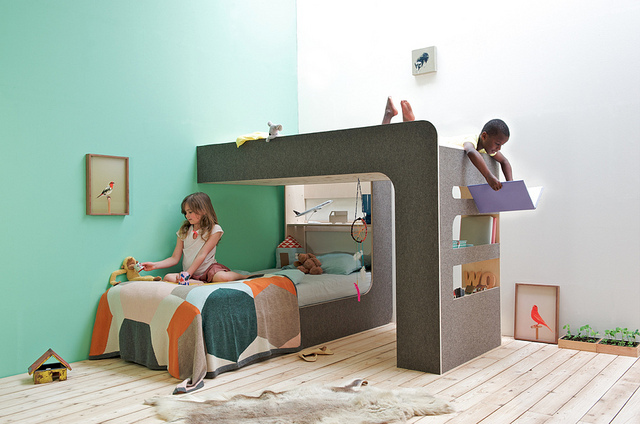 I got an email the other day from Thomas Durner who created the fabulous and creative 'upndown' bed above for his kids. My two children are sharing a room and their somewhat squeaky Swedish bed needed replacement. 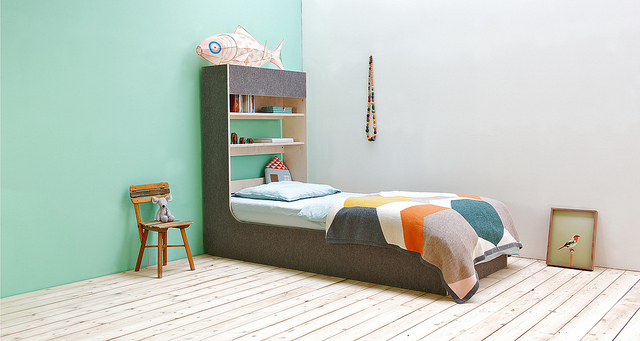 Knowing that they would soon ask for their own space I started searching for a clever solution – first a bunk bed (I have a son who wants to sleep high above all of us!) it should become two separated beds later. This way both children can keep their nests when moving. But the biggest challenge was to design it in a way that the low sleeper would not envy the one above. The result is an elevated bed, which can be used in various ways. It can be turned up side down to become a normal bed and it can be combined with a second bed to form various constellations – high or low. The ladder is integrated in the construction, there is space for storage and both kids have a side table (bunk position). To add some flavor, warmth and atmosphere I covered the bed with natural felt. Based on the success of the bed in our home I developed the prototype into a consumer fit product for other house-holds. This month it was launched for the public and is for sale in the Netherlands and around. For more information you can visit my website: www.durner.nl. oh my gosh! this is so cool. 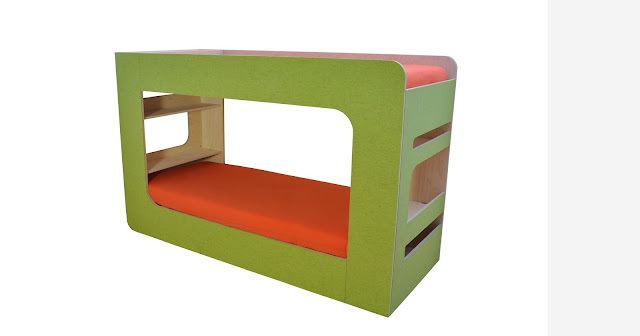 I've been meaning to ask you to do another roundup of the IKEA KURA. I'm getting bored with how I have it in Emma's room. 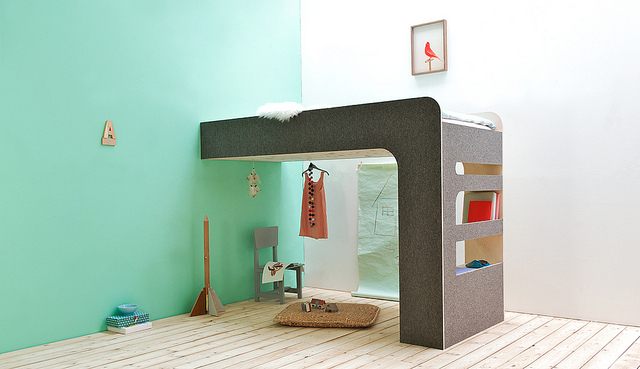 I agree - this bed rocks, from the design to the felt...I love everything about it.